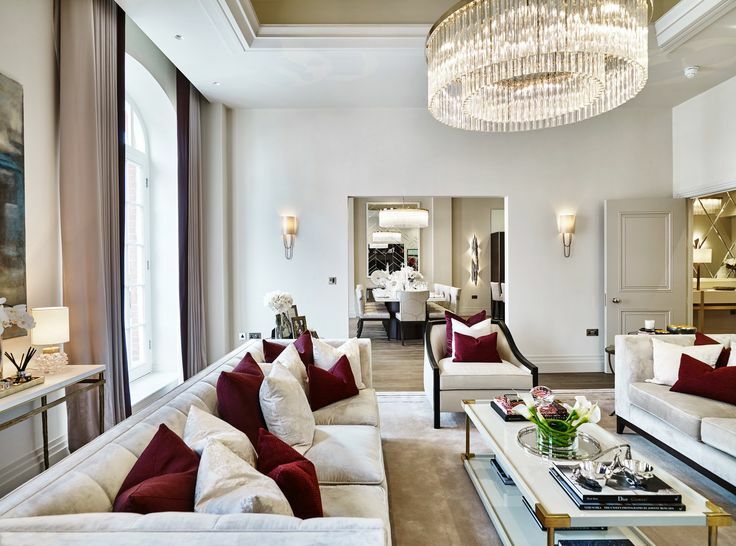 The size of the room will greatly dictate the layout, and to some extent, the colours and textures used – however, creating a luxury living room can be done on any scale. The living room is a great space for taking on a variety of luxurious materials, from the wall and floor coverings to the soft furnishings and accessories. The floor can be carpeted for a plush and soft atmosphere, a wooden floor has a beautiful, organic look that perfectly suits a simple and elegant room or the floor can be tiled for easy cleaning and a crisp aesthetic. 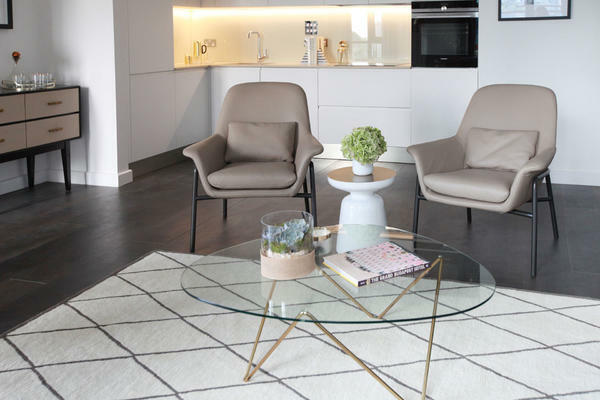 There are many other floor coverings that are suitable for a luxury living room, including polished concrete that can add a brutalist edge to the soft textiles that are often found in living room designs. The amount of natural light available in the space will greatly influence the interior design ideas for your living room. A room with plenty of natural light from plentiful large windows will perhaps suit a bright, modern Scandinavian style luxury living room, whereas a space with less natural light may feel more luxurious with a dark and atmospheric living room design. Having an interior designer onboard may prove useful at this point, as they will have a greater understanding of what is available, and of what will suit your living room design. Choosing one sofa, or a combination of sofas and armchairs, will greatly affect the sense of space and luckily contemporary sofas come in many forms to suit many spaces from linear to corner and C-shaped to name just a few. The sofa will affect the mood of the living room – a low, unstructured sofa will add a softness that brings with it an air of informal relaxation, whereas a rigid, sculptural sofa will bring clean lines and structure to the room. There are endless possibilities for creating a living room design to suit your personality and lifestyle. 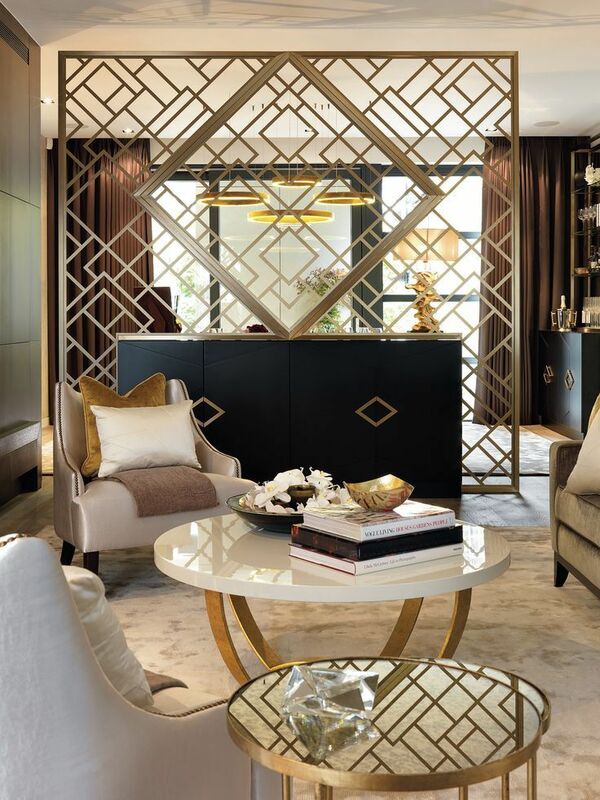 Whether you’re looking for a formal reception room with heritage detailing or a relaxed lounge space for spending time with the family and entertaining guests, these top interior design projects will give you plenty of inspiration. The Art of Bespoke website has work by some of the top interior designers who have worked on a large variety of projects, so once you have found several designs that you like, it is advised to look at further work by each of the designers. 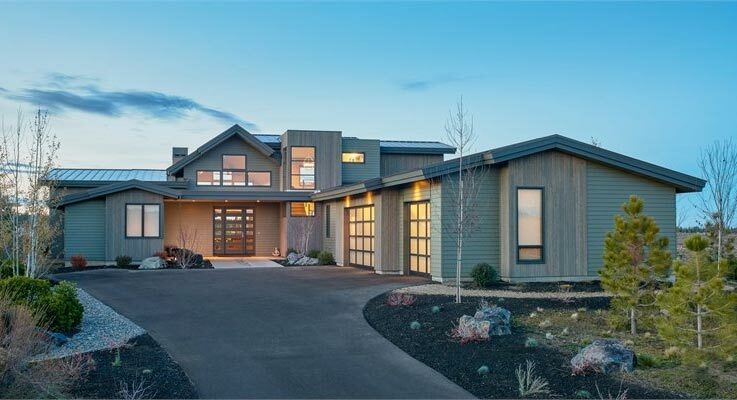 A designers portfolio may range greatly project-by-project, however most interior designers have a preference for a certain look or style, and often prefer using specific materials, so select a designer who has similar taste to your own. The right interior designer will bring their expertise, experience and contacts to your luxury living room design, which can be an invaluable addition to the project. There are endless design ideas for the living room, from the layout and spacing to the overall mood – creating a luxury living room is possible in any household. When finding interior design ideas for living rooms, it is important to choose those that suit your needs and your style. The living room design should also fit perfectly with the rest of the house, becoming a part of the overall interior design. The right interior designer will help you understand how to design a living room that is luxurious, functional and best suited to you and your space. 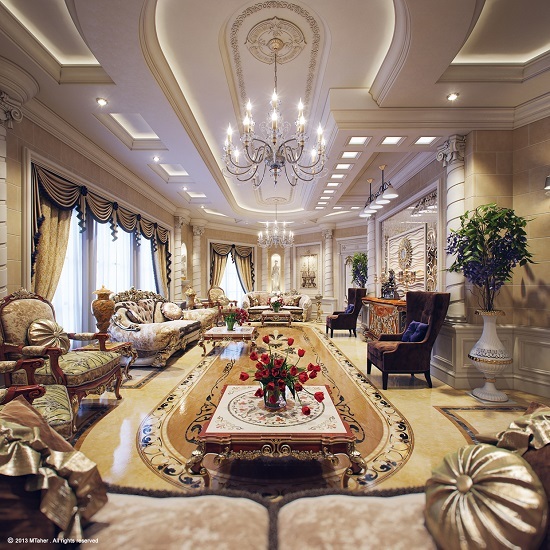 Luxury living rooms have many different aspects to them, and an interior designer will take into consideration all of the elements, small and large, that make up a successful and luxurious living room. Finding the right interior designer for your living room will come down to looking at their previous work, finding living room designs and ideas that you admire. The walls are another consideration, as the living room can take on a variety of finishes. 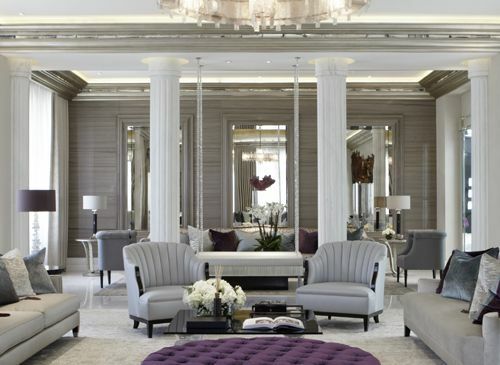 Depending on the flooring and the amount of light, as well as the overall look of the room, a luxury living room design can be finished with wallpaper, have painted walls in one or several colours or shades or can take on more unusual finishes such as wood panel or fabric wallpaper for a more historical take on luxury. Small living room design can often benefit from the expertise of an interior designer, as they will be able to bring their experience of previous luxury living room designs to your smaller space. Understanding the proportions of a small living room will mean that small steps can be taken throughout the project to ensure that the living room has a sense of space and light. 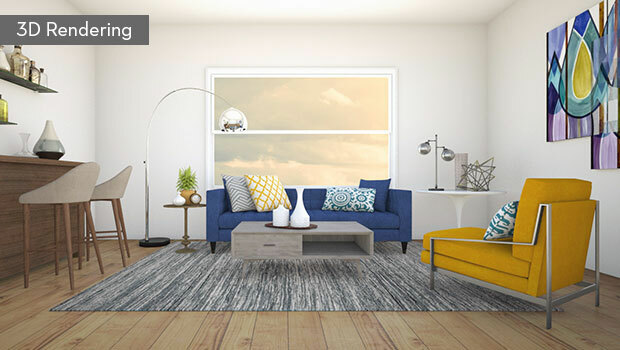 Selecting furniture that is the correct size for the room is one way to enhance your small living room, and there are other interior design ideas that use colour and surface texture to create the sense of having more space in your small but luxury living room. 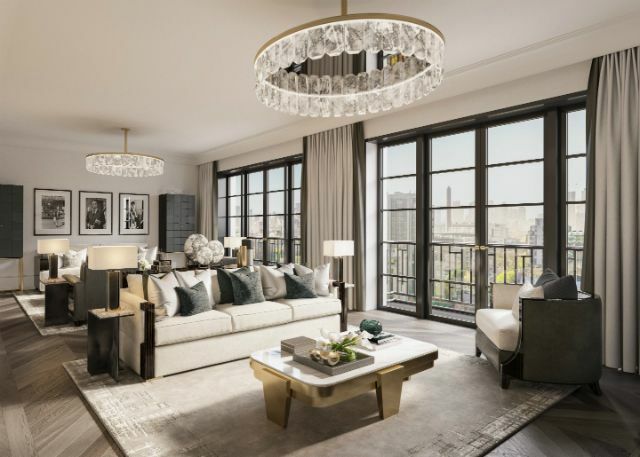 The range of interior design ideas for living rooms is seemingly endless, so when designing a luxury living room it can be useful to choose one thing to base the rest of the design around. Whether you have fallen for a beautiful sofa, or there is already a stunning fireplace in the room, it will help to have a focal point for the rest of the design. 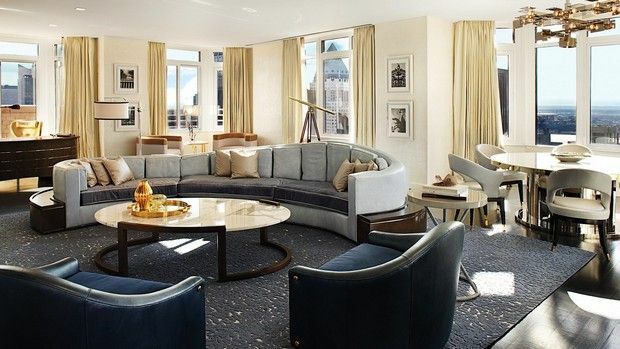 Here sofas are the stars of the show, furnished with bespoke upholstery and layered with cushions. Display treasured possessions with console, side and coffee tables or layered on elegant bookshelves. Living room designers keep the space multi-purpose by creating different lighting schemes for each time of day, and add an artistic statement with bold rug designs and fabrics. Design ideas for living rooms rely on several factors, and choosing the right furniture for your space will help dictate its success as an overall design. The furniture that you select will have to fulfill both the practical requirements and needs of the room – comfortably seating the right amount of people for the house, for example – but also needs to add to the sense of luxury and the atmosphere and style of the room. A beautiful living room is a wonderful addition to any home, bringing a sense of relaxation to socialising with friends and family. A living room has many functions, and it should be designed to fit the needs of each individual household. Living rooms vary in size from house to house, which will often dictate how the space is laid out, and what furniture and items are the focus. 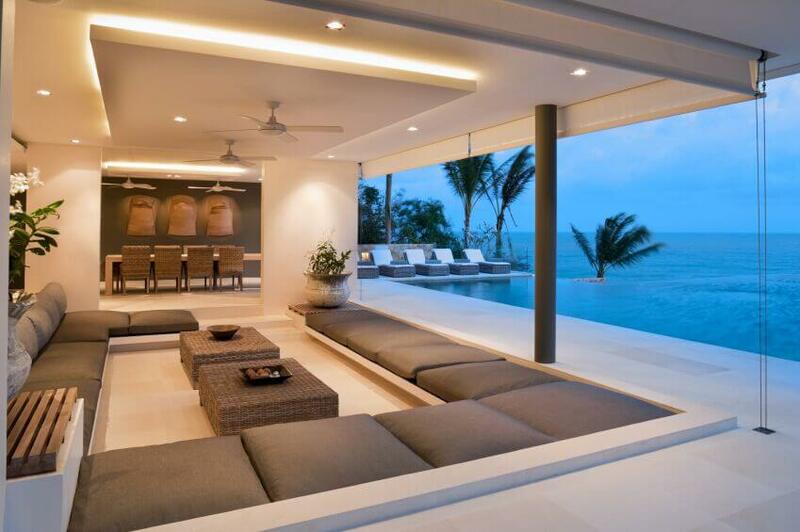 Select furniture by considering all of the other elements in the room, as well as the desired layout. The sofa is a good piece to start with as this will often dictate the rest of the arrangement in your living room design. Many designers have created beautiful, unique and ingenious designs for sofas, so there is guaranteed to be one to best suit your space and the design idea for your living room. Interior design ideas for living rooms can come from many places, but the best advice is always to do your research. 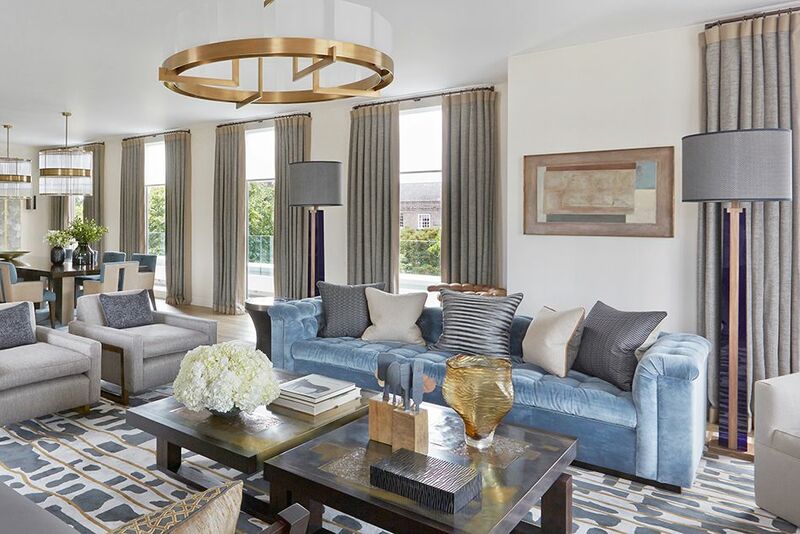 Browse through the varied selection of living room designs on The Art of Bespoke page to get inspiration, as this will allow you access to designs and ideas by some of the top interior designers. 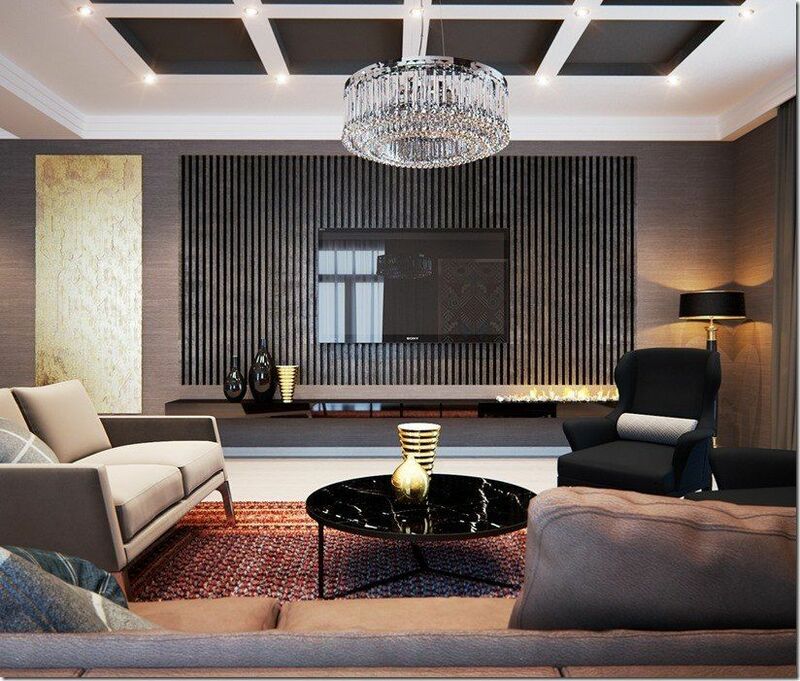 Luxury living room designs can be tailored to suit your space, so work out what it is that you admire in other living rooms and contact the interior designer to discuss how these interior design ideas can be best adapted to suit your space. 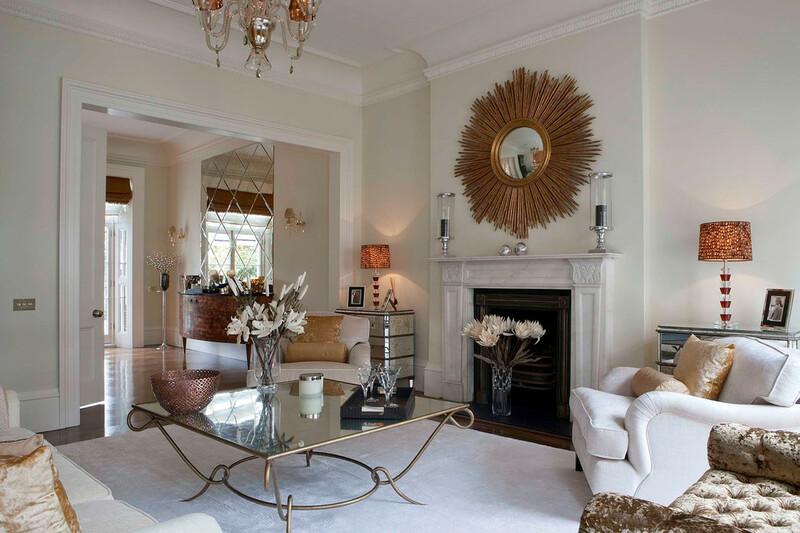 Small and large spaces both have positives and negatives when it comes to creating a luxury living room. 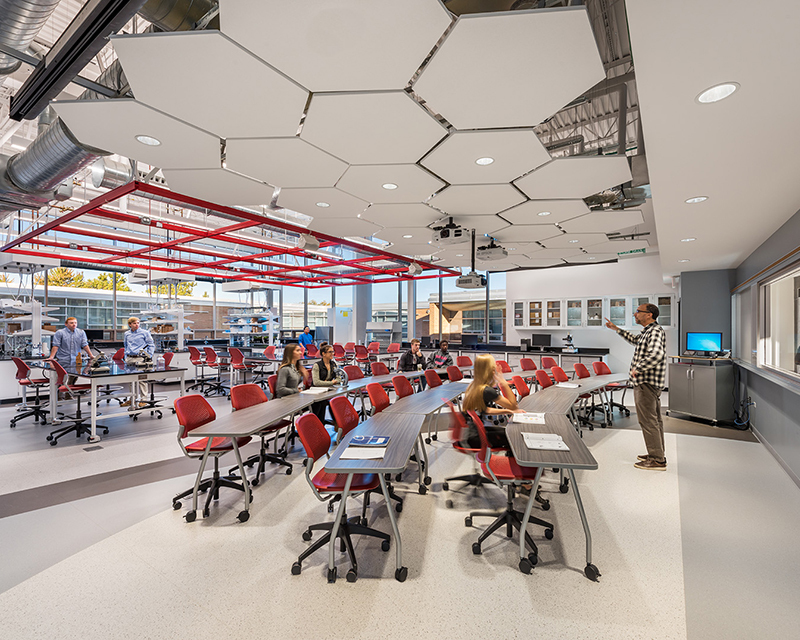 A large space may need to be broken up into sections in order to make the space functional, and to create the warmth that is needed from a living space. However, in a small living room it can be far easier to create a sense of coziness, and the relaxed, informal feel that is desired. Lighting is essential consideration in any room, and in a luxury living room there are endless options. A chandelier adds opulence and drama, whilst a contemporary pendant light can bring a sense of playfulness. Wall lights are often suitable in a living room design, as they can illuminate different sections of the room for different uses. Floor lamps are also a great option for the living room, as they add height and interest, and are often beautiful companion to a reading chair. 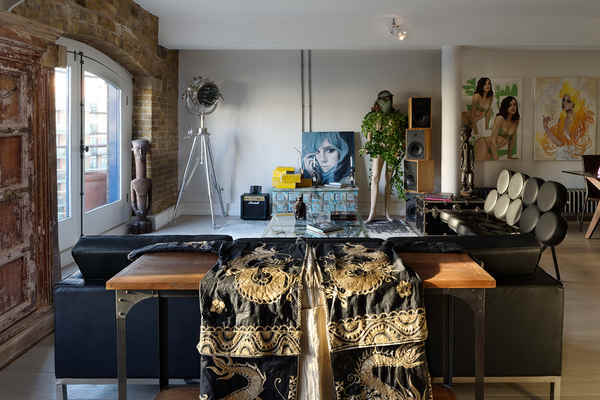 Take ideas from these top interior designers to create a living room which makes a bespoke style statement, as well as providing practical options for every day living. Added shelving or storage has become a popular choice in modern living room designs, thanks to its added practicality. Having in-built shelving for displaying, or hiding, items can bring a more personal and individual look to your room. Design ideas for living rooms often include storage pieces which can vary greatly, from a long and low design that hides away clutter and provides a surface on which to display selected objects to a freestanding bookcase that provides a focal point for the room as well as efficient storage. Coffee tables come in all shapes and sizes, from a grand marble statement piece to a more flexible cluster of smaller tables – select a table that suits your needs and your style. Depending on the size of the room it is possible to include many other items, such as a writing desk, a chest of drawers and a bench or ottoman. Other staples of luxury living room design include a focal fireplace, which if not already present, could be added should it suit the style of the house and the desired look for the room. Curtains and/or blinds add interest and texture to a living room, as well as increasing the sense of luxury and coziness thanks to their ample volume and soft draping. A large mirror is a frequent feature of the living room, which adds light and the sense of more space, this can be taken advantage of in smaller or more difficult living room designs.